The Star reported today that the home of Taek Jho Loh’s parent was forfeited under AMLA law by government. To the Chinese, their family home, more so ancesteral home, are almost sacred. Will that mean Jho Loh should come out of the woodwork to defend them? How is Jho Loh to return, if government took away their home? If used as reason to justify Jho Low not return to Malaysia, it will disappoint Malaysians. Many are seeking the full episode of 1MDB to unfold and the truth on whether Tun Dr Mahathir’s allegation that Dato Najib is a thief is not a politically motivated slander. There is basis to doubt Mahathir. He has yet to reveal anything sensible and justified explanation to his claim RM42 billion “lesap“. 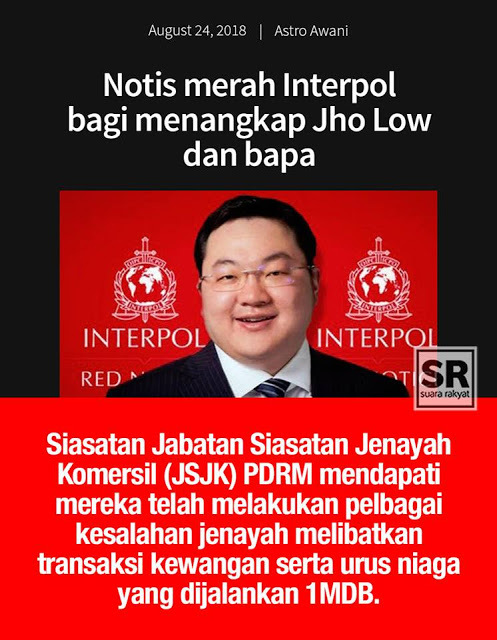 More so, Tan Sri Muhyiddin said in June 2018 that Jho Loh is the main criminal. So Najib is a mere thief but getting the full brunt of Mahathir’s political vengence? Muhyiddin said then that they know Jho Low’s whereabout. But only in October last year that police seek Interpol’s help. Singapore requested Interpol’s help in October 2016 with Malaysia’s knowledge. 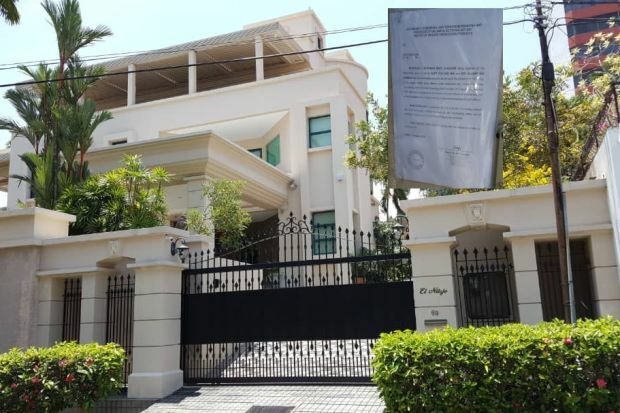 Police’s CID with the consent of the Attorney General filed charges against Jho Loh and his father for money laundering in late August last year. Local media did not report but Singapore’s Straits Times reported the charge was to enable a new warrant of arrest for Interpol. The forfeiting of the Loh’s family home could be related to this court action. However, Jho Loh through his representative questioned the action, said the house is not related to 1MDB as it was purchased 10 years before 1MDB. It is tantamount to abusing AMLA and overextending process for Interpol assistance. Interpol’s assistance does not mean the elusive Jho Loh could be easily captured and deported back. In November, US Department of Justice charged Jho Loh and his fellow accomplice for money laundering for a total sum of US$4.5 billion. For an amount worth almost RM20 billion, only one charge? DOJ should hire Tommy Thomas, Dato Gopal Sri Ram and Dato Sulaiman Abdullah. They could churn out at least 60 charges! Charged they did as Jho Low was also charged in absentia together with four others for AMLA offenses related to Petrosaudi deal in early December. On December 17, Malaysian government initiated criminal actions against Goldman Sach together with the accomplices. It is a bold and necessary action as WSJ Tom Bradley’s Whale book clear points to the Goldman Sachs and its executives as mastermind and conspirator to cheat 1MDB. 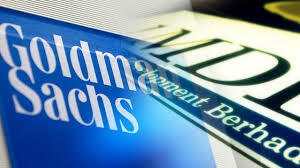 It was followed with a class action lawsuit by 1MDB bond and various papers investors against Goldman Sach in the US. These court actions involving Jho Loh are significant but there is no credibility without the presence of Jho Loh. If Malaysia’s intention is to recover the “stolen” 1MDB money, why pursue a criminal action against Goldman Sach? It requires more rigorous evidence and proof than an on balance consideration for judges to make decisions. Goldman Sach could afford millions of legal fee to save its reputation. This Jewish control investment banker has the international connection to pressure the Malaysian court. Depress oil palm prices and it will cripple the industry and Malaysian economy further. The sudden pullout of Tan Sri Mokhzani’s UK business partner for sudden revelation of Mahathir’s anti-semitic remark may not have come out of the blue. Meanwhile, Malaysia is relying on the legal expert Tommy Thomas who is a novice in putting together cases for prosecution and in the field of criminal law. He has to rely on DPPs who are silently resented his racist remarks against Malays said in private. Singapore only began to investigate and consider criminal investigation. It is done after getting conviction for earlier charges on infringement of security market rules. The Goldman legal action by government looks more of a wayang than a concern for them.